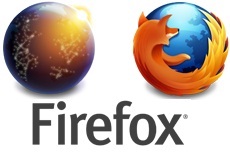 Additional support for Mac OS X 10.7 (Lion): Firefox Aurora updates the new application toolbar and icon styles of Mac OS X 10.7 (Lion) and includes support for the two-finger swipe navigation gesture and improved multi-monitor support. Support for Chunked XHR: Firefox Aurora now supports chunking for XHR requests. This allows websites to display data as it arrives instead of waiting for an entire download to complete.